pie and me in venice, originally uploaded by paderewski. a few of my friends are in venice right now for the venice film festival. bianca balbuena keeps tweeting about her trip through amsterdam and venice and i cant help but reminisce the time i went to italy. was there in 2005 with brillante mendoza, ferdie lapuz and actress cherry pie picache to attend the 1st rome international film festival for the world premiere of kaleldo. 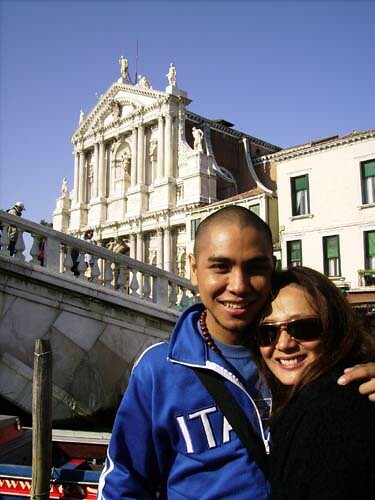 after the screening of the film, we took the train to venice and walked around for a day and half. it is indeed lovely and i wish we could have stayed longer in italy. ive blogged enough about the trip before <read here>. this is really just a pinch to remind me ive been there. funny why i have to do that. lovely venezian sunset. hayyy. love it !